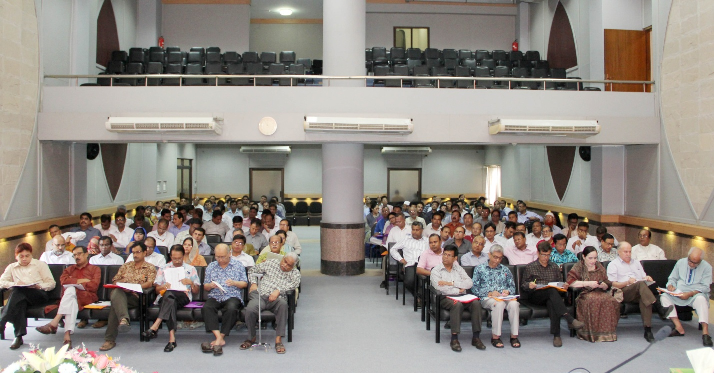 A workshop was organized on July 13, 2014 to mark the implementation of ENRICH in further 85 Unions at PKSF Bhavan. Presided over by Md. Abdul Karim, Managing Director, PKSF, the opening session of the workshop was attended by Md. 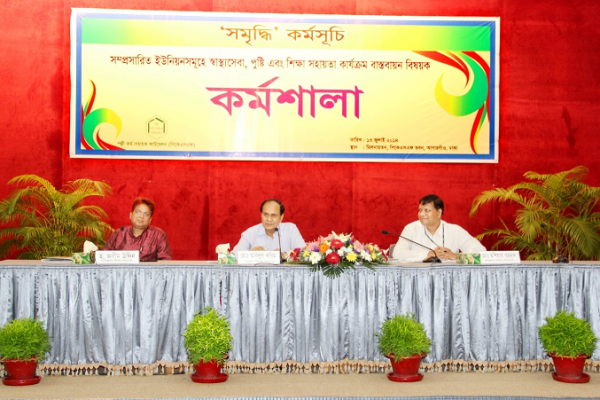 Fazlul Kader, DMD (Opeations), Dr. Jashim Uddin, DMD (Admn. 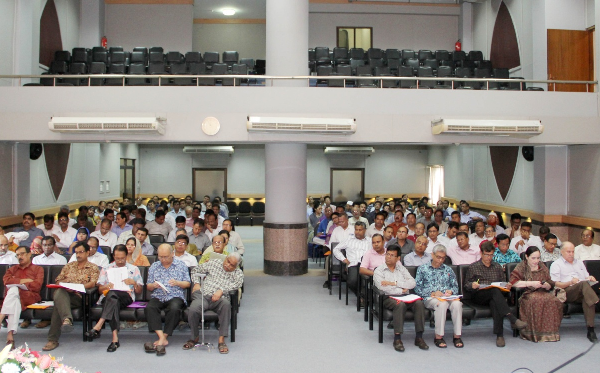 & Finance), Mr. Golam Touhid, DMD (Operations), other senior officials of PKSF and 84 representatives of the Partner Organizations. Dr. Jashim Uddin, DMD offered the welcome and closing speeches. In his opening words, he stressed on the futuristic vision of the ENRICH programme and traced the movement ahead of this venture from the initial 21 Unions to its increasing coverage in the recent times. He also moderated the open forum session in which the participants made interventions to reflect on various aspects of the implementation of ENRICH. Prior to that a working paper on “Implementation and Reimbursement Procedure of Healthcare, Nutrition and Education Programme under ENRICH in extended 85 Unions” was presented by Mr. Mashiar Rahman, General Manager, PKSF. The presentation dealt with some important technical and practical issues related to successful implementation of ENRICH in the new 85 Unions. Md. Abdul Karim, MD, PKSF underlined the unique character of ENRICH as a distinct model contributing to sustainable development aimed at bringing in positive changes in the lives of the poor. He, however, referred to the chronic resource constraints and emphasized on the optimum utilization of limited resources. He also hailed the pro-active role being played by the PKSF Partner Organizations. In the open floor session, various context-specific problems in the implementation of ENRICH were raised and the participants had the opportunity to share diverse experiences. However, the leading mood of the workshop has been the pronouncement of the commitment to work hard to make ENRICH a nation-wide reality.